Sorry you have to close the blog Holly but thank you for all the hard work you have put in over the years. Oh what a shame! But thank you Holly for everything and good luck with the teaching! I'm so sorry to see this end. 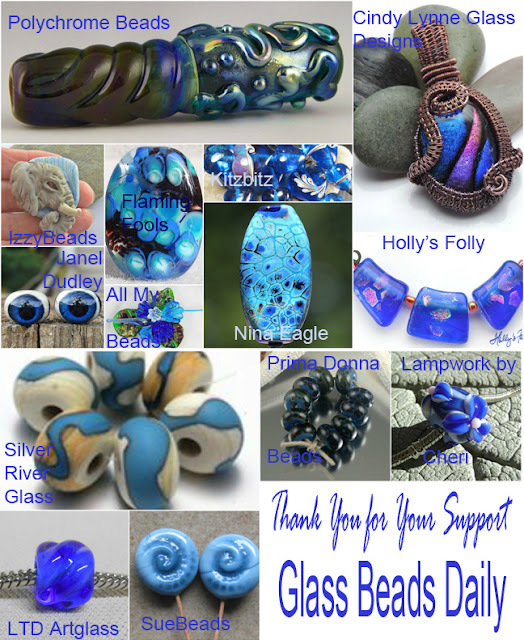 Thank you for all your hard work, and for showing and promoting everyone's beautiful beads. I will really miss this! Good luck! Good luck with this new adventure! I'll miss coming here to see everyone's lovely work but I'm glad life is going so well that you're too busy! Will be sorry to see it go as I have enjoyed all the glassy goodnes, but wish you the very best!!! Thanks so much for highlighting my work from time to time, too! Please check in on LE or other glassy sites from time to time! I'm sorry to see it end too, but totally understandable. I wish you luck!